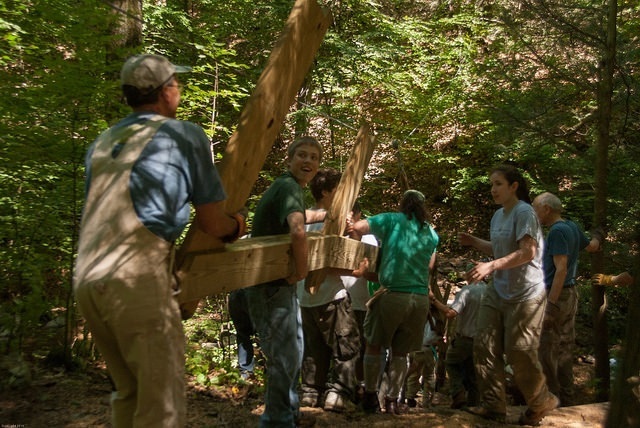 What is the premier event for Trail & Shelter/Cabin work ?? Cake.....and sitting on the porch of a cabin built by the members !!! And to prove that, over 60 members of PATC North Chapter met to dedicate the newly renovated Little Cove Cabin & participate in the Annual Corn Roast. 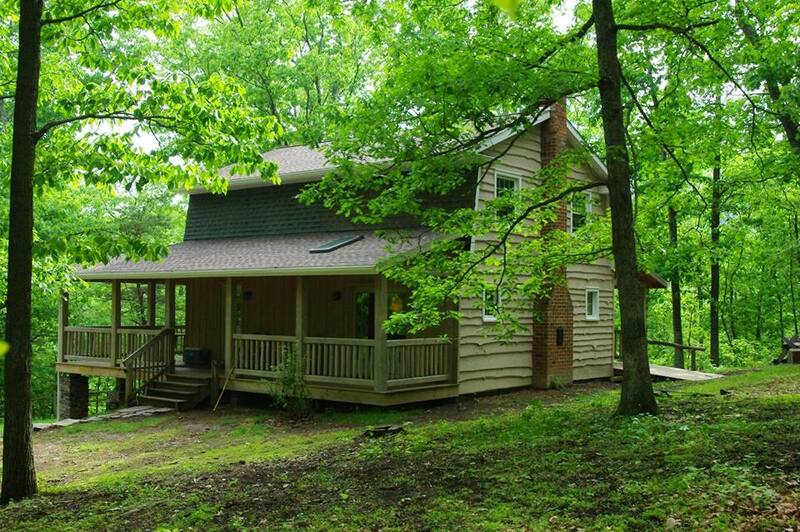 One of the unique services of PATC is the cabins at very reasonable prices. 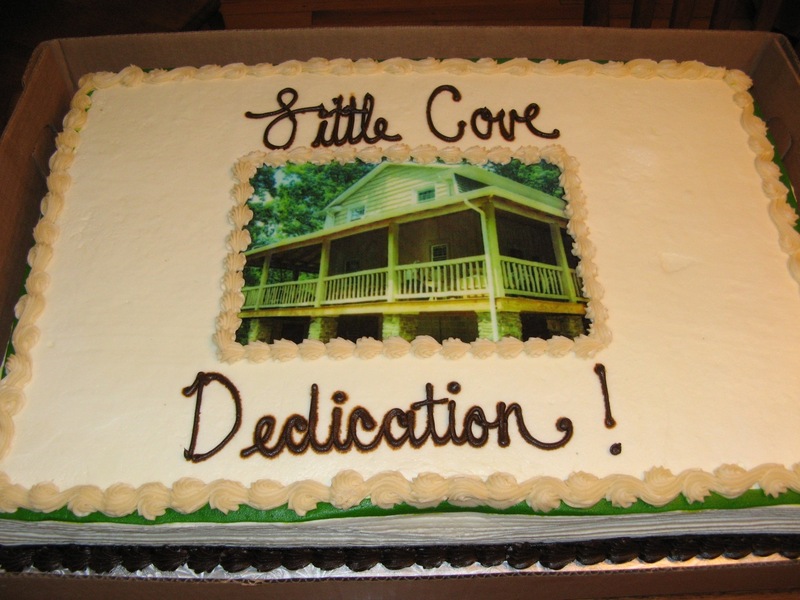 Little Cove Cabin is a 'prized feature' of the construction crew of PATC North in Pennsylvania.....and rightly so !!! On almost every 4th weekend of the month, the construction crew is working to modernize & improve this cabin.....want to stay for free & eat well.....join us !! !